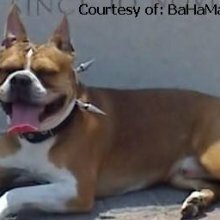 The Olde Boston Bulldogge will weigh between 25-45 pounds as an adult. The coat is short, shiny and soft with a crushed velvet quality. This breed is an average shedder. The Olde Boston Bulldogge is loyal and brave. It is loving and courageous. The Olde Boston Bulldogge is loyal and brave. It is loving and courageous. The Olde Boston Bulldgge is mild and good with children. If socialized properly, it will be good with other dogs as well. You can find Old Boston Bulldog puppies priced from $1000 USD to $3000 USD with one of our credible breeders. Browse through our breeder's listings and find your perfect puppy at the perfect price. The Olde Boston Bulldgge is mild and good with children. If socialized properly, it will be good with other dogs as well. The short-haired, smooth coat makes this breed easy to groom. Comb, brush and bathe as necessary. The Olde Boston Bulldogge is easily trained. Enjoys working with it's owner and likes to please. This breed does need to be exercised daily. They enjoy long walks. Old Boston Bulldog Puppies for Sale - Shipped Worldwide! Finding the right Old Boston Bulldog puppy can be dog gone hard work. PuppyFind® provides a convenient and efficient means of selecting and purchasing the perfect Old Boston Bulldog puppy (or Old Boston Bulldog puppies) from the comfort of your home, 24 hours a day, 7 days a week. Take advantage of our PuppySearch or leisurely browse our directory of hundreds of dog breeds, Old Boston Bulldog dog breeders, Old Boston Bulldog dogs for adoption, and Old Boston Bulldog puppy for sale listings with photos and detailed descriptions. Some Old Boston Bulldog puppies for sale may be shipped Worldwide and include crate and veterinarian checkup. Many Old Boston Bulldog dog breeders with puppies for sale also offer a health guarantee. With thousands of Old Boston Bulldog puppies for sale and hundreds of Old Boston Bulldog dog breeders, you're sure to find the perfect Old Boston Bulldog puppy.